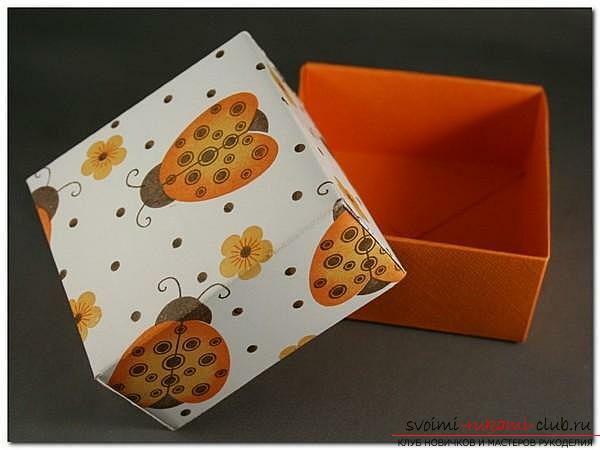 Origami, a box, which you can do withpaper according to a detailed description of the work, is relevant in many cases. Its assembly is not a complex process and is possible even for those who have never been interested in origami techniques. Origami - this is perhaps the most original kind of art that will be able to any person, any age. That is, you can even teach little children how to make simple figures. For example, boats, frogs, cranes and so on. 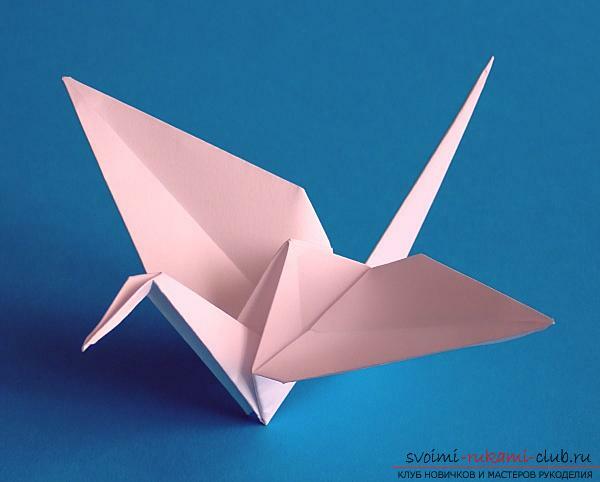 By the way, the crane, it is also called the "crane of happiness" is an international symbol of origami. There are many legends associated with the crane. In Japan, this paper figure is considered a symbol of happiness, love, hope and faith. There is such a belief, if a man made a thousand cranes, then gave them to all his relatives and friends, then the most cherished desire will come true. In the first half of the twentieth century, this technique was known only in Japan, Korea, China and in neighboring countries. But, after a short period of time, there were many fans from all over the world. Even in kindergartens and institutions began to learn to make paper figures. And not in vain, because many children have such an occupation of interest, accustoms them to work in a team, and besides this, they can develop logical thinking and motor skills. And now I want to draw your attention to how easy it is to make a gift box with your own hands, having spent a minimum of money and time on it. For you one of the simplestways of making a box in origami technique. It should be handled by everyone and even beginners, and also, children. It can put anything, of course, everything depends on the size. For example, a gift of absolute any format. Also, you can put homemade cakes, namely cakes, cookies or donuts and so on. 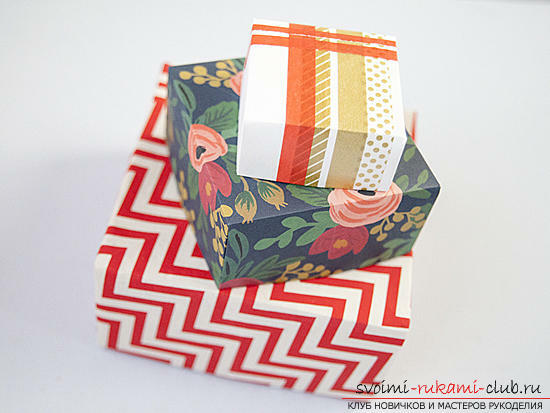 Next, it will be described how you can assemble the origami box with your own hands. You will need: paper, preferably dense; scissors; a stack of plastic, it will simplify the work with paper; decorating to your taste. So, first we need two large squares, in principle, it all depends on the box of what size you need. The only nuance, the size of one square should be several millimeters larger than the size of the second one. First, you need to fold the paper in the middle, walk around the resulting stack. Then it is necessary to open it and on the other hand to fold it in exactly the same way. Once again, we repeat the manipulation with the opening of the sheet, it folds at one angle to the other, so that we finally get a triangular shape. The sheet is opened. The middle is the point at which all fold lines intersect. Next, add each fourth angle toward the middle. I draw your attention that the edges should not overlap one another. Then one of the sides must be folded towards the center. The second is added in the same way. The edges should be close to each other, but not one on the other. The other two sides need to be folded in the same way as the previous ones. 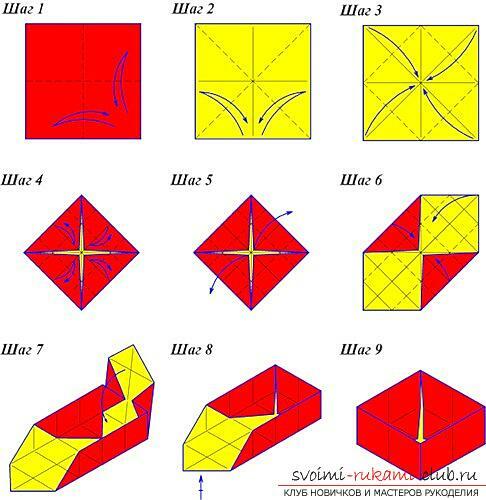 Thus, lines are obtained, on which it is necessary to collect an origami box. As a result, the walls of the product must be closed. The sides of the box that remained are closed. Now cut out the necessary size square and glue to the bottom. The second half of the box, it's the same cover, is done just like the previous one. It should be a few millimeters in diameter in diameter to be freely closed. The box is ready. If you followed the instructions exactly, you should have such a box, which is presented above in the photo, or even better. I hope you will be satisfied with your result. 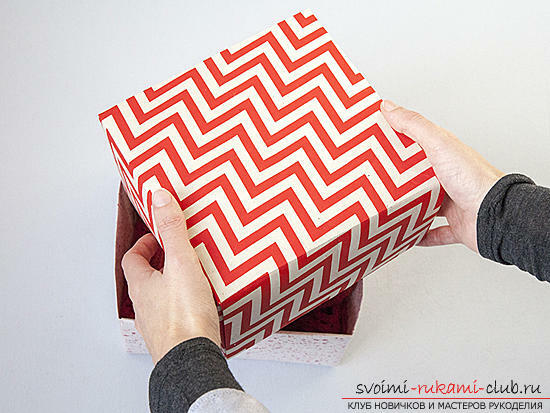 Origami New Year's grandfather frost - how to make jewelry yourself? The most unusual New Year tree, made by own hands A huge greeting card for congratulations, made by own hands. Photo of similar postcards. gift wrapping: 10 original ideas Money tree with my own hands. The idea of ​​a gift.